THE STORY OF THE BLUES – sold out!! 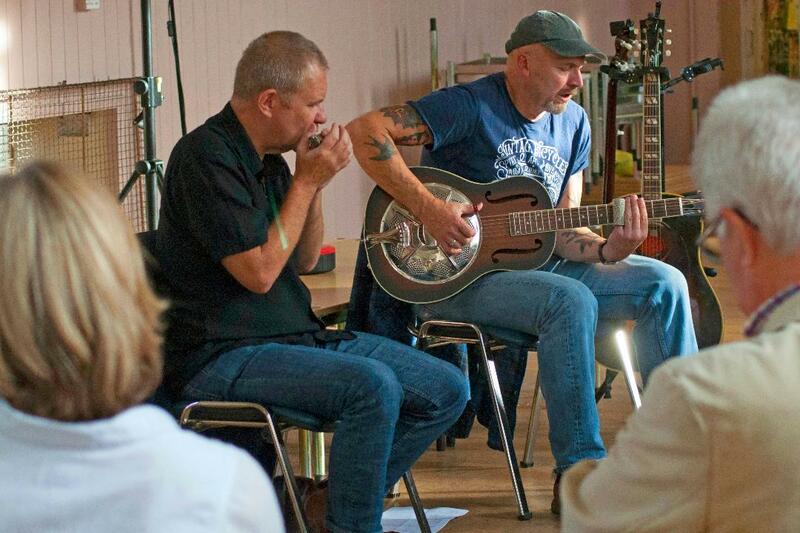 Steve Page (Americana band Open Secrets) and Ben Hewlett (National Harmonica League chair) take us from the origins of the Blues in Africa and Asia all the way through to 1950s Chicago via work songs, Robert Johnson, Leadbelly and some Vaudeville, performing on guitar, banjo, harmonica and Jew’s harp. For more about Steve and the Open Secrets, visit www.theopensecrets.co.uk. For more information about Ben, visit www.benhewlett.com.